A disturbing rise in whale and dolphin deaths is causing major concern for experts with recorded deaths up by a third compared with the last two years. Up to and including 2010, Irish Whale And Dolphin Group, (IWDG) never received more than 150 validated cetacean stranding reports in any one year but things started to change in 2011 when 163 strandings were validated and we thought that annual figures had reached a new high. Little did we realise that 163 would soon become a 'quiet' year as annual figures continued to rise to a peak of 219 in 2013 with 212 in 2016 being the second highest annual total on record. By 31 August 2016, 156 cetaceans had been received in that year but by the same date in 2017 IWDG had received 201 validated cetacean strandings - up to a massive 30% compared to the previous two 'record' years. As in recent years, the numbers of dead common dolphins recorded are very high with 78 records for this species to the end of August 2017 accounting for 39% of all strandings. 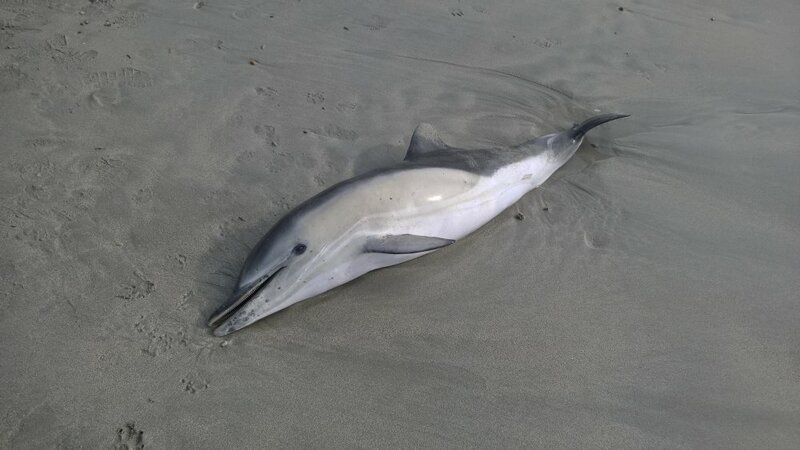 In the last seven years, numbers of dead common dolphins washed ashore in late winter/spring have become unusually high. Even in a series of years with particularly high numbers of this species stranding since 2011, 2017 is well ahead of the previous 2 'record' years by the end of August (66 in 2016 and 53 in 2013), These are, of course, minimum numbers as we don't know how many dead animals go unrecorded and also many unidentified dolphins which aren't identifiable to species level are likely to be common dolphins. In the latter part of 2017, IWDG has been working with the Marine Institute, National Parks and Wildlife Service and Department of Agriculture on a post-mortem scheme for common dolphins, striped dolphins and harbour porpoises and we hope that this will start shedding light on what is causing the deaths of small cetaceans in Ireland.